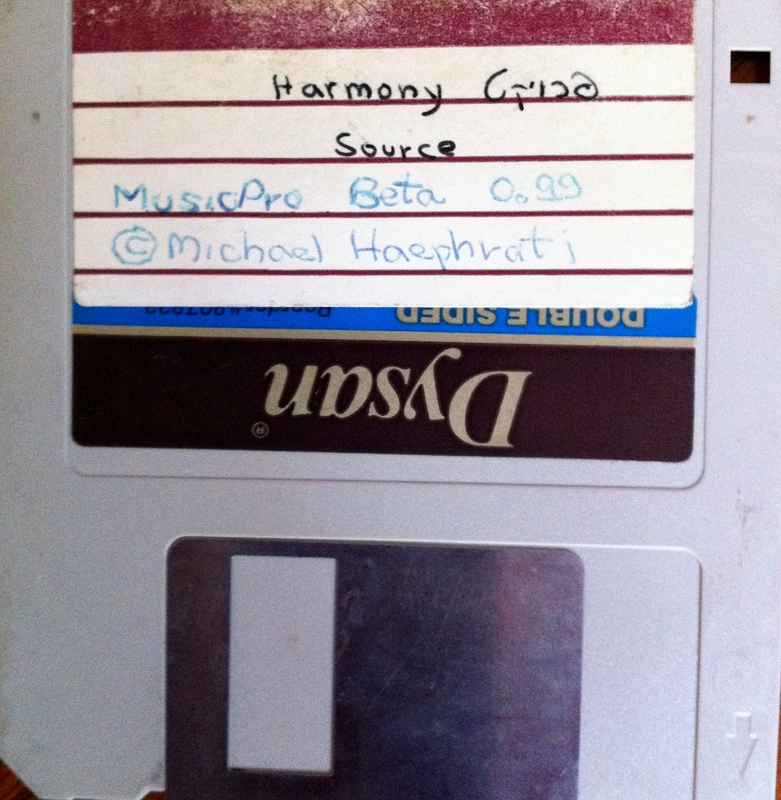 Here are some old Amiga Floppy disks used by HarmonySoft for the creation of Rashumon and other Amiga products. 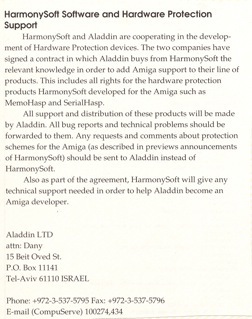 Posted by Michael Haephrati מיכאל האפרתי on November 25, 2011 in Uncategorized and tagged Amiga, AmigaHASP, Efrati, Haefrati, Haephrati, HarmonySoft, Michael Haefrati, Michael Haephrati, Michael N. Haephrati, Rashumon, Software, אפרתי, האפרתי, הרמוניסופט, מיכאל אפרתי, מיכאל האפרתי, מיכאל נחום אפרתי, מיכאל נחום האפרתי, רשומון, תוכנה. Posted by Michael Haephrati מיכאל האפרתי on November 17, 2011 in Uncategorized and tagged Amiga, AmigaHASP, Michael Haephrati, Michael N. Haephrati, אמיגה, מיכאל האפרתי. 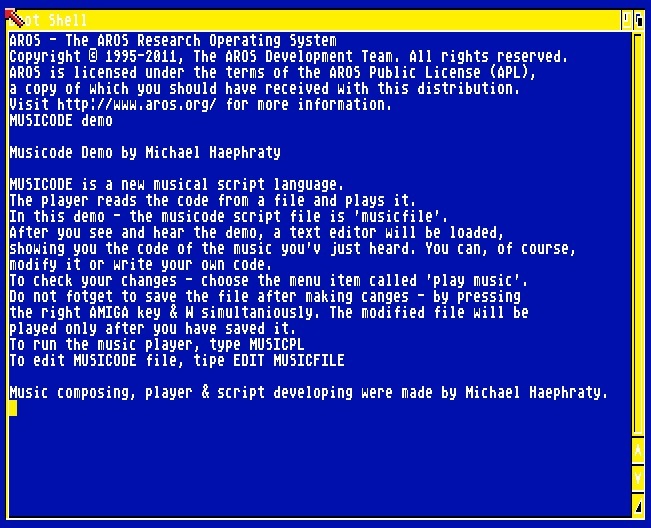 During 1987 I have developed a script language to code music for the Amiga. The project was called Musicode. My idea was to create something similar to a “Basic” like programming language, which will focus in music. The Amiga was known by it’s ability to play polyphonic sound, based on 4 seperate tracks (which was a lot these days…). At that time I was involved in computers and music projects, such as music based on random numbers or representing digital artwork as music. 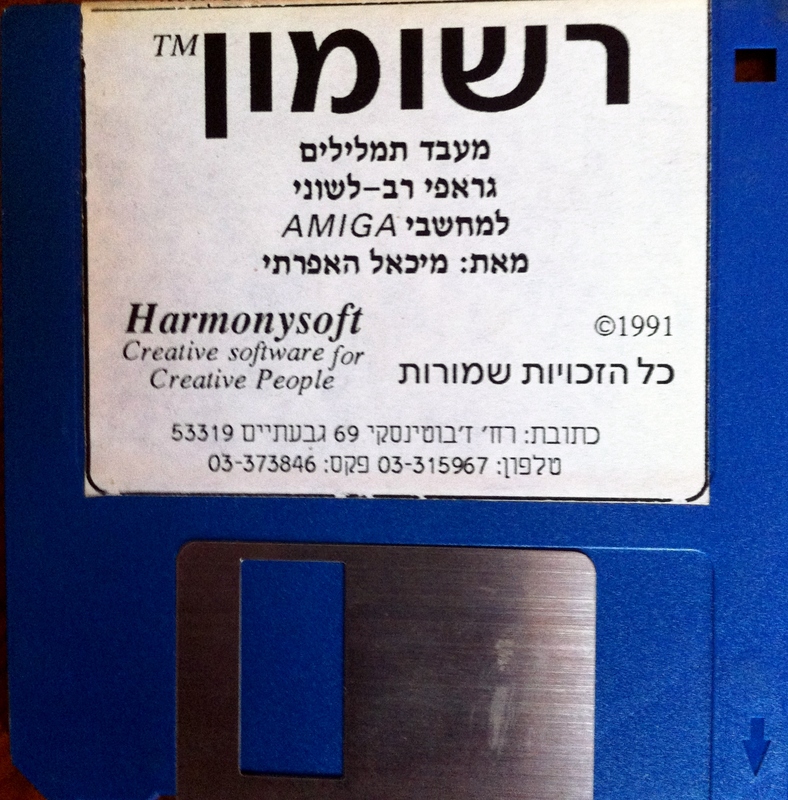 The demo disk contained the application itself, and a sample script with some music I have composed, as a demo for Yaacov Agam who was always (and still is) open minded to such ideas and ventures. 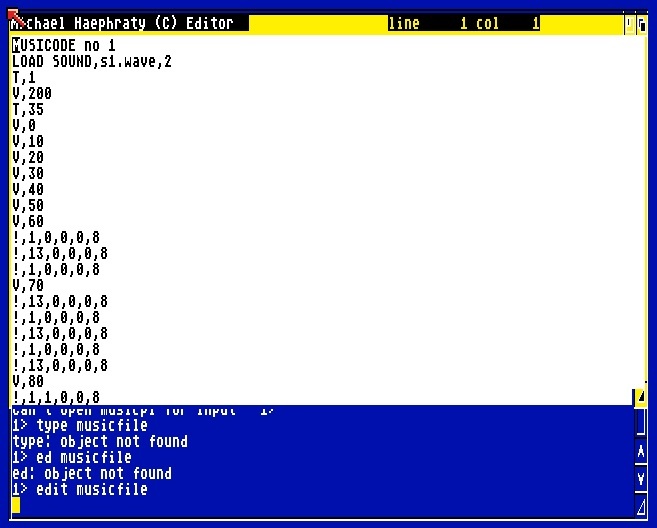 This screenshot was created by running Musicode on WinUAE (Windows Amiga Emulator) along with AROS alternative Amiga OS. Few months later, I have gone one step further and developed a graphic user interface for my music engine. The idea behind MusicPro was to make music composing available to ordinary people, same as composing a document using a Word Processor has became. To do so, I tried to build an engine and a very intuitive user interface that will allow the avarage user to unleash his or her creativity without having to have any musical knowledge. At that time (1998), there were several creative music composing applications for the Amiga, among them one called “M”. I wrote about that period of my life in this article (Hebrew). I was thinking about something different. First, to make it simple, intuitive and with out requiring any knowledge in music, and second, encapsulate as much as music knowledge within the system, much like a “spell checker” for the music being composed. Posted by Michael Haephrati מיכאל האפרתי on November 7, 2011 in Uncategorized and tagged Haephrati, HarmonySoft, Michael Haephrati, music, MusicPro, Yaacov Agam, האפרתי, יעקב אגם, מוסיקה, מיכאל האפרתי, מיכאל נחום האפרתי. במהלך החודשים מאי ועד יולי 1992 סייע לי ד”ר אמנון טיל בקבלת תו תקן של משרד החינוך לתוכנת “רשומון”. Posted by Michael Haephrati מיכאל האפרתי on October 13, 2011 in Uncategorized and tagged DataTune, Efrati, Ephrati, Haefrati, Haephrati, HarmonySoft, Information Systems, Israel, Michael Haefrati, Michael Haephrati, Michael N. Haephrati, Rashumon, Ruth Haephrati, Security, Software, Target Eye, אבטחת מידע, אמנון טיל, אפרתי, האפרתי, הרמוניסופט, טרגט איי, טרגט דטה, ישראל, מיכאל אפרתי, מיכאל האפרתי, מיכאל נחום אפרתי, מיכאל נחום האפרתי, מערכות מידע, רות אפרתי, רות האפרתי, רשומון, תוכנה. Posted by Michael Haephrati מיכאל האפרתי on October 8, 2011 in Uncategorized and tagged DataTune, Efrati, Ephrati, Haefrati, Haephrati, HarmonySoft, Information Systems, Israel, Michael Haefrati, Michael Haephrati, Michael N. Haephrati, Rashumon, Ruth Haephrati, Security, Software, Target Eye, אבטחת מידע, אפרתי, האפרתי, הרמוניסופט, טרגט איי, טרגט דטה, ישראל, מיכאל אפרתי, מיכאל האפרתי, מיכאל נחום אפרתי, מיכאל נחום האפרתי, מערכות מידע, רות אפרתי, רות האפרתי, רשומון, תוכנה. couldn't pass the fax through. (upgrades usually cost about $30 each). 5. I hope we could keep doing business in the future. 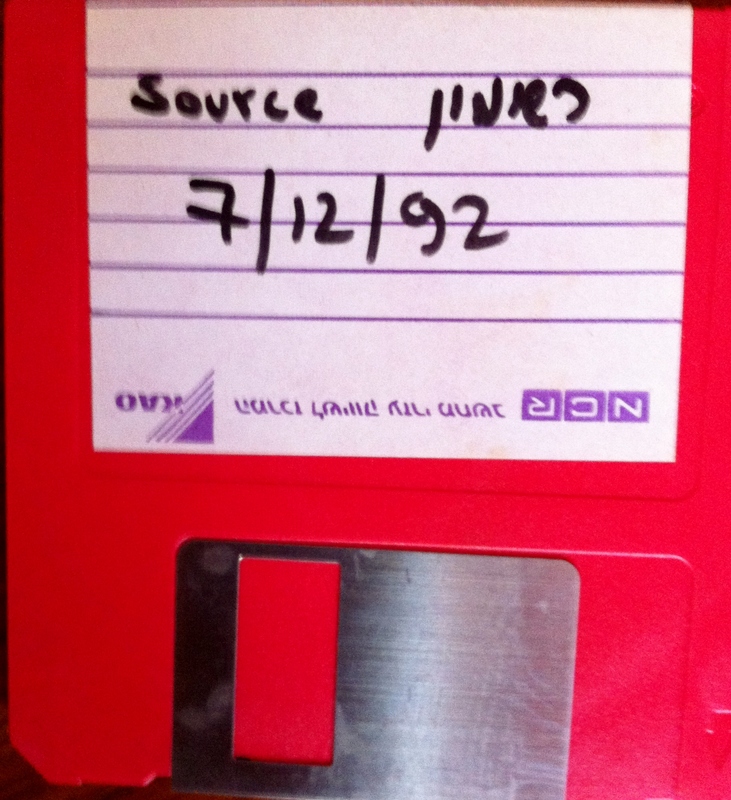 Posted by Michael Haephrati מיכאל האפרתי on February 2, 1994 in Uncategorized. 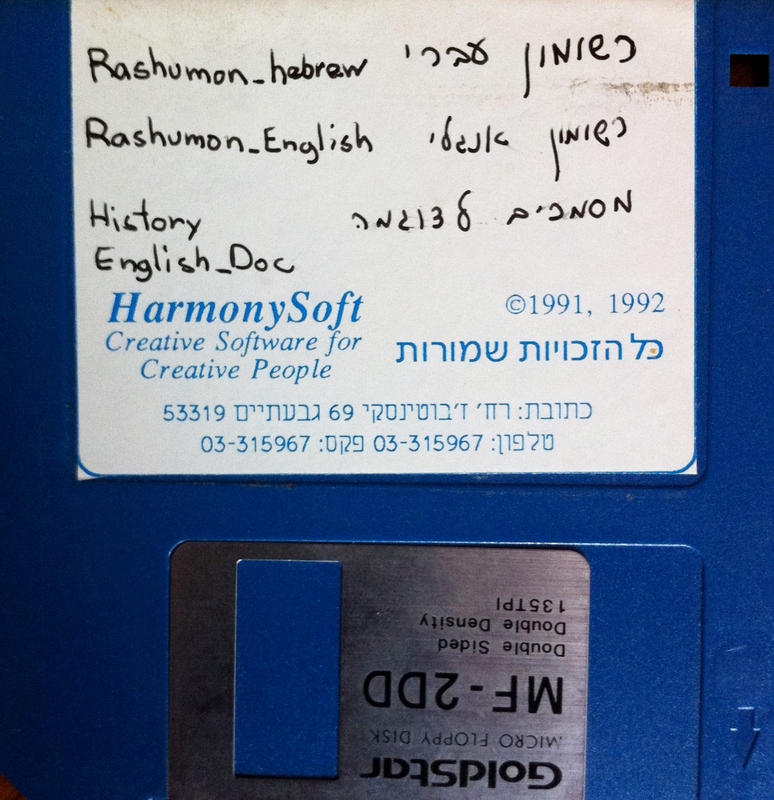 We would like to congratulate you for purchasing Rashumon, the graphical multi lingual word processor for the Amiga. This page will enable you to start working immediately, without having to read the user manual. 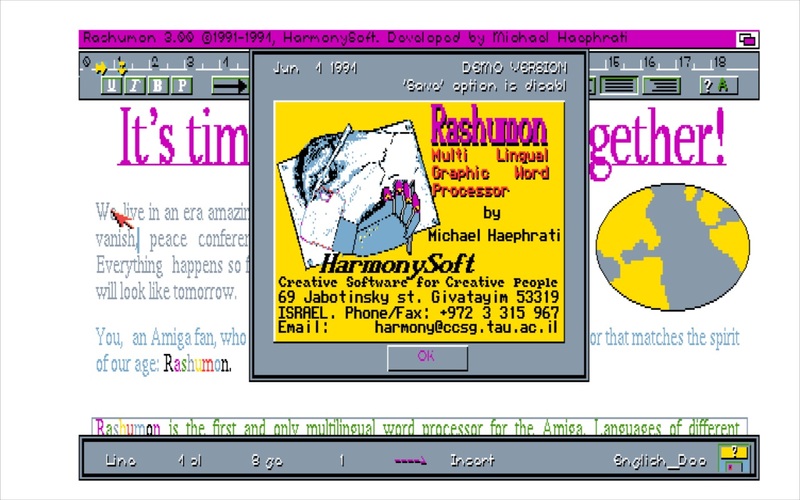 If you have any questions concerning Rashumon’s installation, please do not hesitate to call HarmonySoft. The protection plug is meant to prevent illegal copy of the software. when the plug is disconnected, the software can’t be loaded. before you connect the plug, make sure the computer and printer are off. Connect the plug to the Amiga’s Parallel Port. If you have a printer, connect the printer cable to the plug’s other side. Extremely important: please backup Rashumon before you start working. 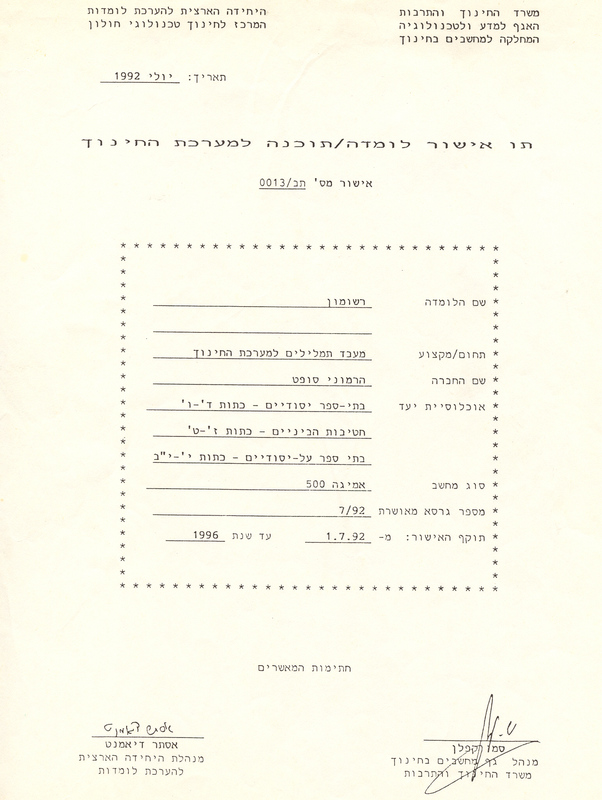 Posted by Michael Haephrati מיכאל האפרתי on November 13, 1993 in Uncategorized. Michael Haephrati Ventures Blog About ventures such as HarmonySoft, DataTune, Target Eye, etc.